The 4th album from the late, great Woods of Ypres here, in it's original first pressing on Practical Art Records. 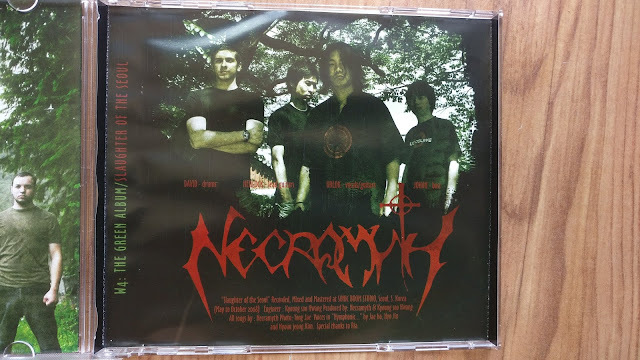 This was the version which came with a bonus album of material from Necramyth, a South Korean black/death metal band which David Gold played drums for at the time. 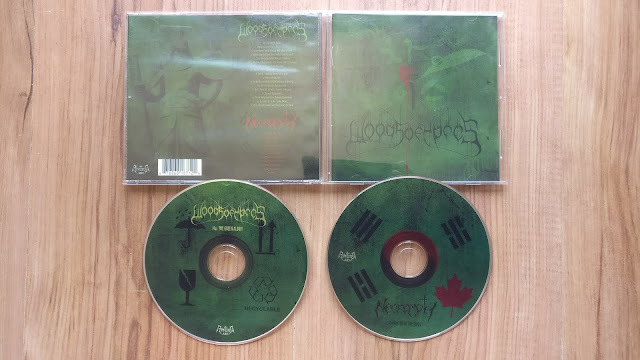 'IV: The Green Album' wasn't Woods of Ypres finest hour, but still an enjoyable album of material - the Necramyth stuff is also not to be sniffed at.